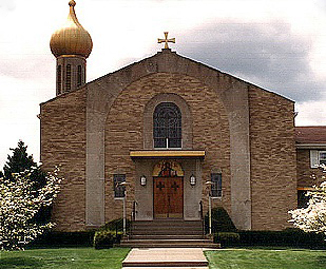 St John the Baptist parish was founded in 1910 and originally located in Arnold, PA. The parish relocated in May 1964, at which time a new church complex was built and dedicated. The Church interior is a jewel with its beautiful iconography and stained glass windows containing biblical typology from both the Old and New Testament. The services are celebrated in English. There is a full cycle of liturgical services. The choir is excellent. There is a school for children pre-school through 12th grade. There are bible study and adult lectures throughout the year.